If you’ve been following me on twitter (@fragrantmoments) you know I’ve been raving about Otto by Malin + Goetz. That’s because when I purchase a fragrance, I desire something that smells great, has some lasting power, and is reasonably priced (but I will splurge in some cases). Otto has all three and then some. I don’t buy fragrances looking for compliments. I seek to please myself first. Sometimes I’ll get the occasional, “that smells great.” But most times I don’t receive any and that’s Okay. With Otto, however, I have experienced more interest than I can recall. I’ve heard everything from delicious to “Jesus that smells good.” I take it all in stride, smile and keep it moving. I remember when I first sampled it at their shop on 7th avenue here in New York City, I applied a few drops and couldn’t stop smelling my hand as I spoke with the sales attendant. She was extremely helpful and we exchanged information about scent layering. But Otto’s “so fresh and so clean” appeal had me hypnotized and when I found out it was only $55, I knew I couldn’t pass it up. I left with a bottle. Heck, I’ve bought more expensive scents in the past and have regretted it. Not this time. 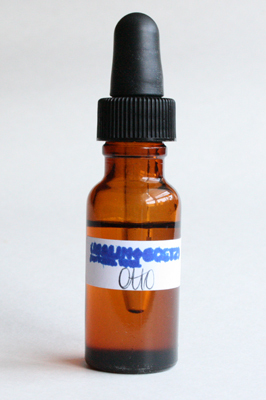 Otto has Top Notes Of Grapefruit And Lavender; middle notes Of Geranium, Cardamom, and Rose; and base notes of Oakmoss and Vetiver. Because it’s an oil and much more concentrated than your typical cologne, you only need a few drops and it lasts all day. With the heat we’ve been experiencing and we still have quite a bit of summer, at this price, Otto is a steal…and you just might get noticed. This entry was posted in Fragrance Review and tagged Malin+Goetz, Men's Colgone, Men's Fragrances, Men's Scents, Otto, summer scents. Bookmark the permalink. Oils are much more concentrated than your typical fragrances. That said, use caution before applying. I usually hit my wrists and apply a few drops to my hand, rub together and apply to my chest. Someone else might have a different technique but I find that works for me. I think Otta can be worn year round. Since I’m not sure where you live, you may want to call them to inquire about purchasing. Thanks for stopping by and I’m glad the post intrigued you to give it a try.